Carbon forward and intense aromatically. A full body coats the palate and becomes dry quickly. A very low acidity makes the cup a bit flat. Light hints of milk chocolate and vanilla are overpowered by a strong bitterness of cocoa and celery. This coffee finishes dry, with hints of nuts and roasty notes though it doesn't linger much. A distinct dark and bold roast aroma is immediately clear. The coffee coats the mouth and leaves your senses a little dry and sticky. Certainly a low-acid coffee, though the slightest amount is detected. This coffee showcases primarily earthy and roasty bitterness, though a little sweetness lends a helping hand to the drinkability as a straight black brew. Cameron’s Coffee has a proud heritage of producing outstanding quality coffee while being sensitive to sustainable practices and caring for our partner employees. Categories: Coffee Ratings. Origins: Blend. Flavors: Cocoa, Nuts, and Roasty. Brew Descriptors: Bold, Earthy, and Low-acid. 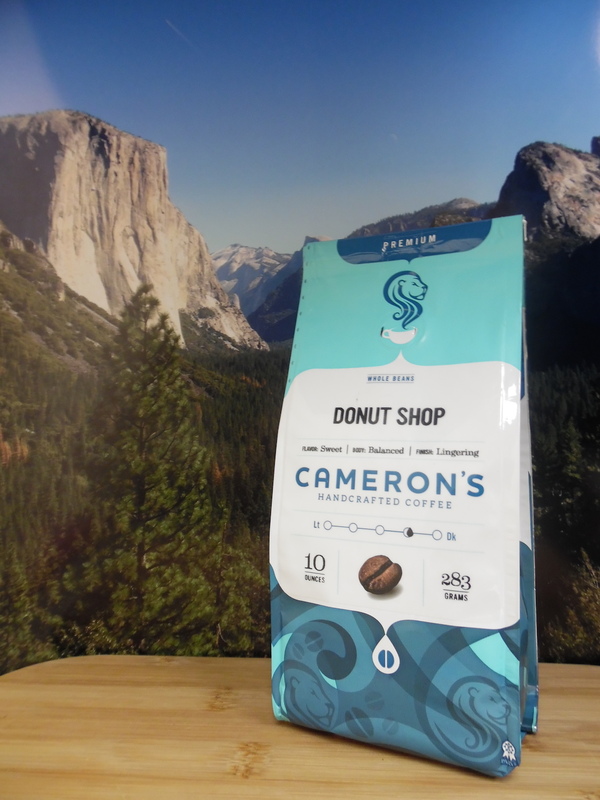 Roasters: Cameron's Coffee. Smarties subscribe to our newsletter! Enter your email and receive the latest news and updates from Roast Ratings. Our promise to you: no SPAM, ever. Only LOVE and COFFEE. Lots of COFFEE.